عندما تزور برث, ستشعر أنك في بيتك في Murray Hotel الذي يقدم لك إقامة متميزة و خدمات عظيمة. يقع مركز المدينة المثير على بعد 2km فقط. يضفي محيط الفندق اللطيف وقربه من Mossenson Galleries, Watertown Brand Outlet Centre, سكيتش هوريزون سحراً خاصاً على هذا الفندق. كما يقدم Murray Hotel الكثير من الخدمات لإغناء رحلتك في برث. يقدم الفندق فرصة للاستمتاع بشريحة واسعة من الخدمات بما فيها: واي فاي مجاني في جميع الغرف, خدمة التنظيف يوميًا, خدمة غسيل ذاتية, تسجيل وصول/خروج سريع, تخزين الأمتعة . بالإضافة لهذا,تتضمن كل غرف الضيوف مجموعة واسعة من وسائل الراحة . بعض الغرف توفر حتى تلفزيون بشاشة مسطحة, اتصال لاسلكي بالإنترنت, اتصال لاسلكي بشبكة الإنترنت (مجاني), غرف لغير المدخنين, مكيف هواء لإرضاء أكثر الضيوف تطلباً. كما أن مجموعة الخدمات الواسعة الموجودة في الفندق لضمان راحتك تترك لك الكثير من الخيارات لقضاء وقتك أثناء فترة إقامتك. يشكل Murray Hotel بخدماته الراقية وموقعه الممتاز، قاعدة مثالية للاستمتاع بإقامتك في برث. Murray Hotel is always clean. Staff are always friendly and the hospitality is excellent. Perfectly situated to go anywhere in Perth and outer suburbs. Easy to get to. 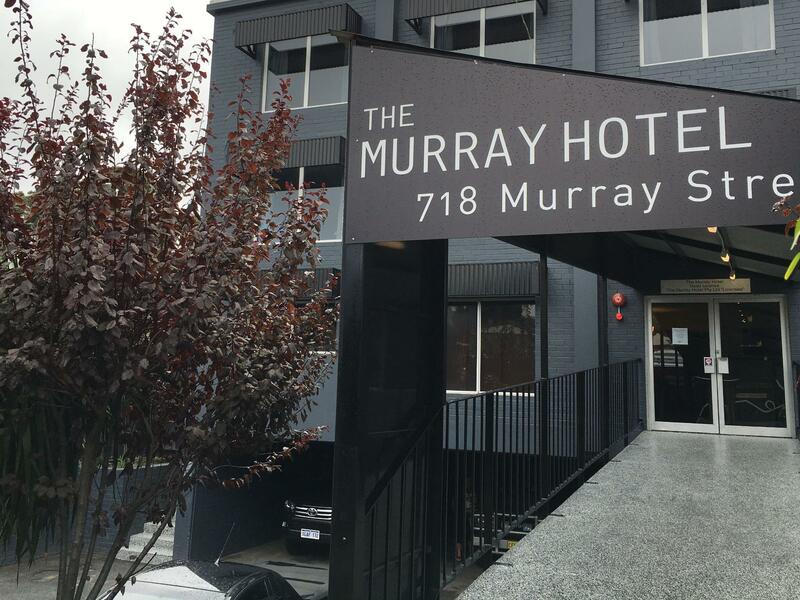 Thanks for another great visit Murray Hotel. A very transient hotel with lots of people coming and going at all times. Unfortunately my room was at the head of the stair and the door was paper thin so I heard everyone come and go and the cleaners cleaning and every other movement anyone made. Otherwise the staff were very pleasant, rooms clean and bed very comfortable. Excellent 'European-style' hotel. Rooms clean, modern and well equipped - newly refurbished and great to see double glazing throughout as it cuts noise to a minimum. Parking a bit limited on-site - but plenty available if you're happy parking off-site. The staff was really friendly. We checked in late, and they kept the kitchen open for us to order our dinner before it is closed. Room was clean and of a good size. We had rowdy neighbors though. Suggestion to do something to help reduce noise. But enjoyed the stay overall! I chose this hotel after reading reviews from other travellers and it turned out to be a good choice! Complimentary breakfast was provided though when i made the booking it did not state so. The yellow CAT(free bus shuttle) is just in front of the hotel doorstep which meant a lot to us who did not self-drive. Stuff were helpful and hotel even provided iron board! However, do take note that no in-house slippers were supplied and it could be a bit cold to step on the toilet floor duriing winter period. Overall, i'm glad i chose Murray Hotel! Love the fact that this hotel was able to store my baggage after my check-out so that I did not have to lug them all over town while I continued to explore Perth city before my flight at the end of the day! The room is clean and big enough for 4 people stay. The bad side is the bathroom is too small... but it is clean. The breakfast is very simple, just bread, cereal, pancake, coffee machine, juice and milk. There is a bus station right in front of the hotel. If you are renting car for your trip, there are some car park provided. It is very convenient. Overall it is very good. Great place to stay in west Perth. Basic but very functional and clean. Only drawback was that there is no elevator for upper floors which I found difficult as I was in the area to have a procedure on my legs done. It wouldn't be a problem normally, but should be a consideration for elderly or incapacitated people. Also safety was a small issue as the corridors off the rooms are open to the outside so anyone could potentially roam the premises. Very good restaurant service with complimentary breakfast. We had dinner also which was great value for money. Very clean large room. Quick self check in. Yellow CAT bus on doorstep! Easy trip to Claremont, Watertown, Kings Park Simple adequate breakfast. Some noise at times from fellow guests but never rowdy during our 3 nights stay. Second time stay within 2 weeks. Relaxed, friendly atmosphere. Could not ask for more when staying almost within CBD, close to all freeway entries. Staff extremely helpful and go the extra mile for guest comfort. Surprising boutique hotel - lots of amenities for the money. It appears windows are double glazed so minimal traffic noise especially considering location. Dinner was quickly served and also good value for money. Breakfast perfectly adequate. Will return. Very friendly staff! Thanks for offering the cot for my 2 year old during the stay! My son loved the pancakes and hot chocolate. The availability of free hot drinks not restricted to breakfast hours is really a plus in the cold weather. Parking was not a hassle, just that on the first day we had a shock on the full carpark which we later got to know that that day was some football day and thus carpark was full. We still manage to get a lot infront of the hotel that was free and later shifted to their free carpark. We are a family of four who stayed from 30th June to 2 July. Overall, it was a clean and minimalistic hotel. The hotel is approximately 5 minutes drive away from the city centre where all the shopping centres are, as well as around 10 minutes drive away from King's park! Breakfast and parking were bonus points, they even have a pancake machine. However, on the first night, both the front car park and the back car park were full so we had to park along the road, which was free from 6pm to 8am. This was because there was a football game going on and the hotel was full. There is also an automated 24 hours check in and Murray Hotel staff contacted us immediately after our booking regarding our check in timing. In addition, we are extremely grateful as we had all the arrangements we requested for. And to take note, there is no lift so it might not be convenient for families with pram or elderly. Lastly, the walls are a bit thin so we could hear doors closing etc but we were provided with free ear plugs so it was all good! Definitely recommend families who want to travel on a budget in Perth as it is considerably cheaper compared to most hotels with this location! Comfortable and very affordable and accessible hotel. 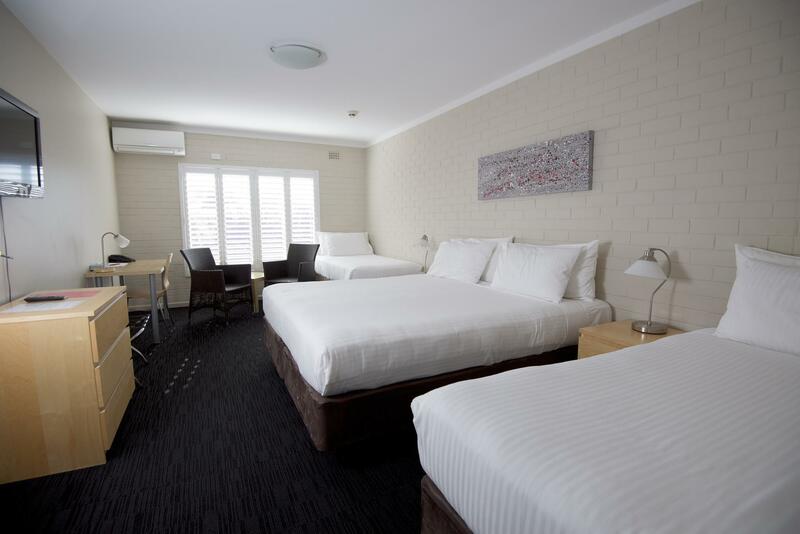 Added extras included in room price was the excellent breakfast and free parking, CAT bus right outside the door and easy walking distance to Subiaco Oval and Kings Park, Also has a lovely swimming pool and deck area as well as Bar and restaurant. A real hidden Gem. Satisfied. Very spacious and clean room. Friendly and helpful staffs. Strategically located, 25 mins walking distance to Perth CBD. Free yellow CAT bus is right in front of the hotel. Thumbs up for added simple breakfast although booked room without breakfast and early check-in. Will definitely stay there again for my next Perth vacation. 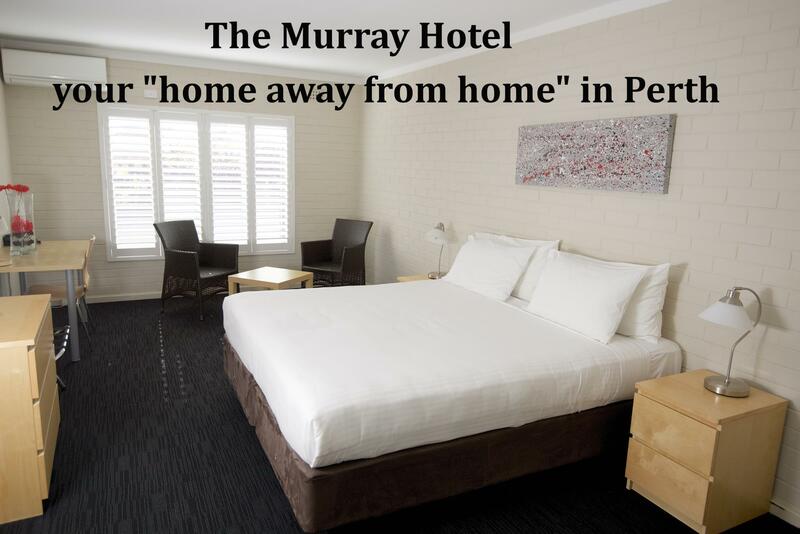 I stayed 2 nights at the Murray Hotel after coming to Perth for work. On the outside, the hotel doesn't look like much. The staff, however, were very friendly and welcoming. My room was basic, but very clean and had everything I needed. If you sleep lightly, I'd consider somewhere else as the hotel is directly across from PMH and there was no shortage of sirens. The hotel, to their credit, has considered this and they do provide complimentary earplugs. The price includes complimentary continental breakfast with pancakes, can't complain with that. The restaurant menu is small, but the prices are reasonable and they deliver to your room at no extra cost. Overall, a really pleasant stay.